I am a recovering misanthrope. What does that mean? It means that I am getting over my deep desire to avoid people altogether. A few years ago, I found myself in a deep dislike of most people. And, in response to continuing to either piss people off or become intoxicatingly annoyed by them, I turned a new leaf. I decided to start giving people a chance again. Sadly, some of that backfired on me. I came to find that not everyone can be a real friend. But, that everyone has a role to play in my life – even if only for a season. Now, after my ups and downs, I have made the decision to cut loose and avoid certain types of friends in 2014: tear down and spectator friends. What friends will I cling to this year? Build up friends. There are some folks you just won’t be compatible with romantically or platonically. This doesn’t pertain to those folks. Incompatibility is irreparable. For the people you can put up with, these descriptions may shine some light for you. These are the friends who have an earnest love and care for you but they have too much of their own baggage to be good friends. Every time you accomplish something exciting or worthwhile, they are the first ones there to remind you that you really aren’t that awesome. Or, they jump at the opportunity to reminisce about that time in college when you failed a huge exam. These friends tear you down because the more you accomplish the less worthy of your friendship they feel. Even though they may love you dearly, they can’t get past themselves long enough to appreciate having you in their lives. These friends are often passive aggressive subconsciously. It’s their bitterness that makes them hard to deal with. Sometimes, these friends stay this way forever. But, most get over it once they’ve filled whatever hole in their lives that affects them so negatively. I am done with these folks. I like to try to fix people too much. But, moving forward, I am not about that life. I have had mostly spectator friends in my life. I believe they’re the most common type of friend. Growing up, some of my best friends were spectator friends. They were cool to have around for slumber parties and concerts but they never really added to the quality of my life. They’d come over my house, eat dinner, watch a few shows, and then doze off to sleep. Then I’d wonder why I had invited them over in the first place. These were the friendships where I came up with every destination and contributed every unique thought. And spectator friends never have your back. They are definitely not the “ride or die” type. They’re more like the “passerby” type. When you aren’t around, these friends won’t keep your confidence, back you up, or otherwise remain loyal because they are not the kind of friends who are invested in the friendship. They are too shallow to really care about the things you think they do. In most cases, they are only half-way paying attention to you anyway. I have found that these folks too have baggage. They are guarded. They are passive. This is not a good recipe for friendship. Build up friends are the best kind of friends. While they have their own lives and won’t necessarily be at your beck and call, they don’t expect too much from you either. These are the friends who match your level of intensity. They don’t hold your life against you or imply that your accolades diminish them in any way. And, they don’t take it personally when your family, job, or other commitments reduce your availability to them. Not only that, they are genuinely excited when you accomplish something great. They want to see you happy. They want you to be fulfilled – even if they aren’t. These folks are critical but it comes from a place of love. They want to see you better. These are the lifelong friends who know you better than anyone else. I am pretty sure I have been each of these types of friends during some period of my life. Actually, I know I have. As I have grown and matured, I have become more of the friend that I want others to be. Take it from an ex-people hater, having good friends is way more awesome than having terrible ones. I vow to be a build up friend from here on out. And, I expect nothing less from the folks I surround myself with. What about you? 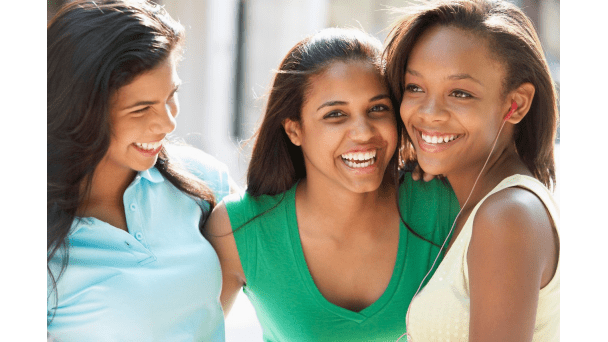 Do you have some spectator or tear down friends? What are some of the kinds of friends you are avoiding this year (and forever)? Previous story Future Congressman Clay Aiken?